The morel was adopted as the state mushroom in 1984. 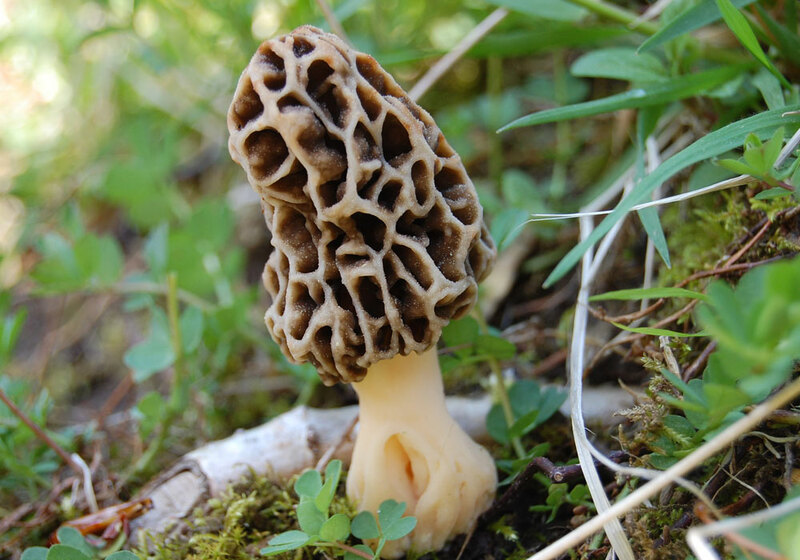 Morchella esculenta, commonly known as the morel, sponge mushroom, or honeycomb morel, was adopted as the official mushroom of the state of Minnesota in 1984. Morels are tasty and considered a rare delicacy by mushroom hunters. They are cone-shaped mushrooms growing from the soil through the leaf mat. They usually are two to six inches high, creamy tan or shades of brown and gray (darkening as they age), with pitted, spongy heads, smooth stems, and hollow interiors. They pop up in fields and forests usually in springtime, and are found more readily in southeastern Minnesota than in other parts of the state. This photograph was taken near St. Paul.